For as long as you own the home, your Milgard windows and doors are covered, including parts and labor. 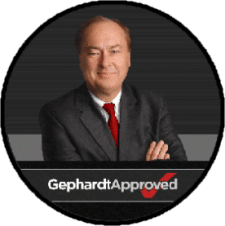 Feel confident that the work will be completed correctly by Milgard factory-trained technicians. From a broken seal to leaking skylight, we will repair or replace the damaged products at no charge to you. Easy service request process – just call (800-MILGARD) or submit a service request online through Milgard.com. We’ll get right on it. Glass breakage coverage for all Tuscany, Ultra, Essence, and Woodclad Series Products. Optional glass breakage coverage available on Style Line Series. Simple optional online warranty registration makes it easy to expedite any service needs, should you ever need it, by having all of your product information on record. If you sell your home, we’ll automatically extend full warranty coverage for 10 years from the effective date of the original warranty to the successive owners, free of charge. For detailed information on the Milgard Full Lifetime Warranty compared to other window brands’ limited warranties, read more here.